EU Brexit negotiator Michel Barnier rejected key elements of Britain’s new trade proposals on Thursday (26 July) even as he and his new British counterpart Dominic Raab voiced a shared determination to reach a deal by October. However, Barnier said he believes British negotiators he met in Brussels on Thursday “understood our concerns” about the border between EU member Ireland and the British province of Northern Ireland. “We have no objection in principle to this,” Barnier told a press conference in Brussels, flanked by his British counterpart Dominic Raab. “But we have doubts that this can be done without putting at risk the integrity of our Customs Union, our Common Commercial Policy, our regulatory policy, and our fiscal revenue,” the Frenchman said. Barnier made clear British offers to collect customs duties for the EU as part of efforts to avoid friction on Northern Ireland’s new EU border had failed to convince already sceptical Europeans. “The UK wants to take back control of its money, law, and borders. We will respect that,” he said. 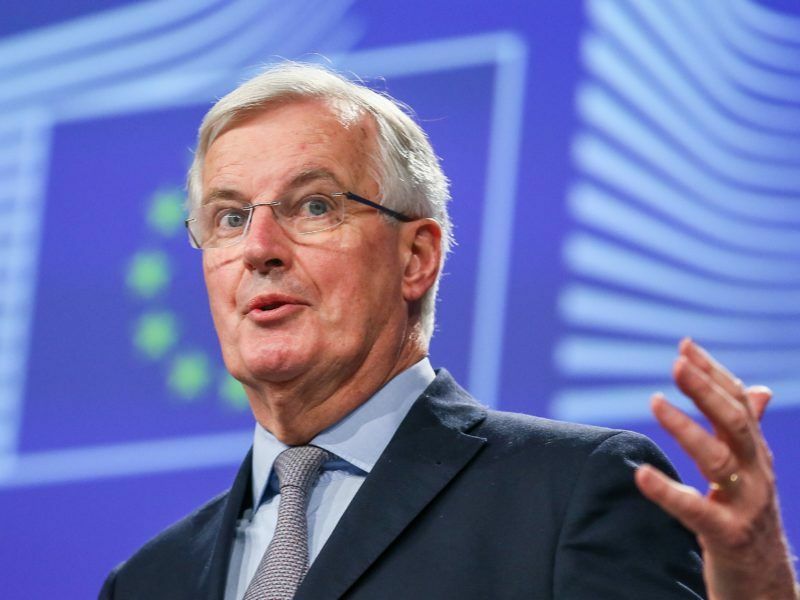 Barnier said the British side “has promised to come back to us with concrete proposals on how to address our concerns”, which were conveyed in what he called “open and frank” talks. As he did during his first talks last week with Raab, Barnier called for a “legally operative backstop,” which he sees as essential for a withdrawal agreement by a late October deadline. Britain is set to leave the bloc on 30 March, but the two sides want to strike the divorce agreement by late October in order to give parliaments enough time to endorse a deal. 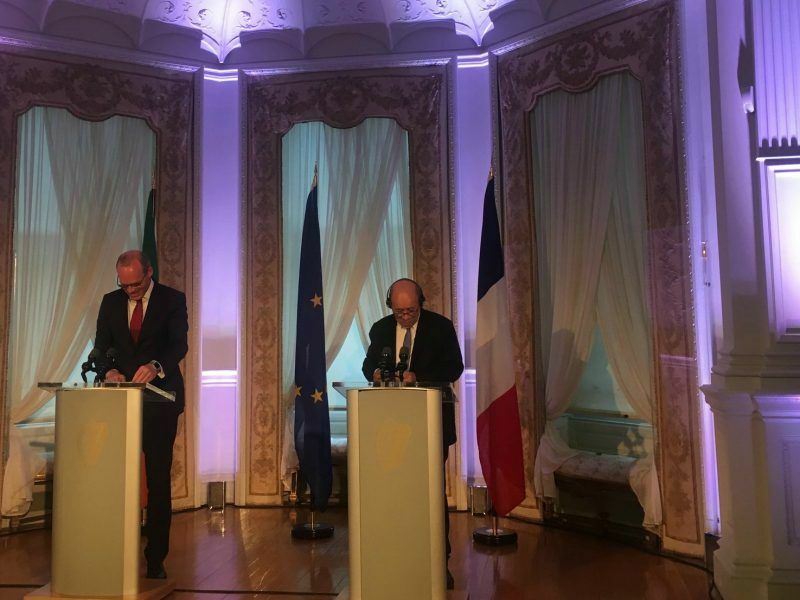 A June summit of European Union leaders is the “ultimate deadline” to make progress on issues related to Northern Ireland’s border, French Foreign Minister Jean-Yves Le Drian said on Sunday (13 May). Raab gave no hint that his government would modify its proposal on the Irish backstop, which he repeated should be for a “time-limited” period. “While of course more work needs to be done, our teams are approaching this issue in the right spirit,” Raab told reporters. Raab said Britain had agreed to accelerate the Brexit negotiations, confirming the two sides would meet again in mid-August and continue talks weekly to clear the way for a deal in October. Raab took up his job following a cabinet rebellion earlier this month against Prime Minister Theresa May’s Brexit blueprint. 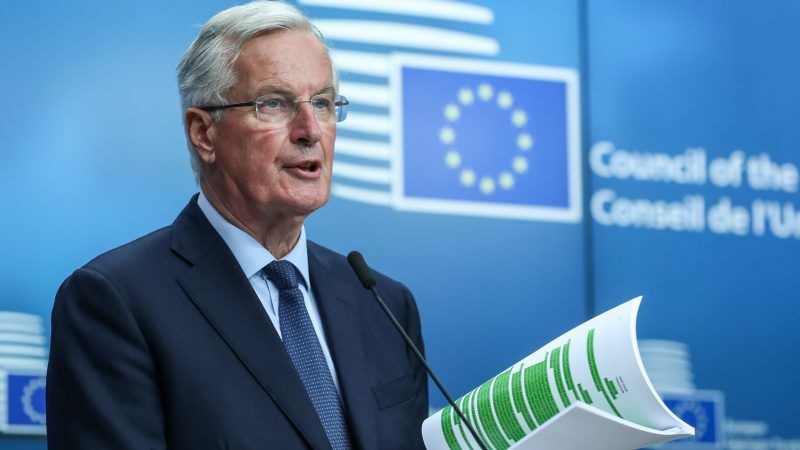 Barnier has welcomed parts of her blueprint, which would see Britain ask the EU for a free trade area for goods through a “facilitated customs arrangement” alongside a “common rulebook”. Brexiteers believe that keeps Britain too close to the EU, while pro-Europeans think it fails to protect the country’s dominant services sector, among other gripes.